If you are like most people, you might think that “foreclosure” in New Jersey is just another way of saying “the end of the world.” While it is true that home foreclosures can be stressful, scary, and sad, they are certainly not a dead end – what many people do not realize, especially in the midst of the stressful situation, is that they DO have options to stop foreclosures from taking away their homes. First, it is important to realize that you are not alone if you are facing a home foreclosure. This is the first step to thinking outside of the box to identify your options. As of January 2018, New Jersey has the most foreclosures in the entire nation. Approximately 70,000 people navigated the foreclosure process in 2017 in New Jersey alone. So, you are far from the only person who has experienced this situation, which is a silver lining on the dark cloud – foreclosure – that seems to loom over your entire life. The good news is that most people have already navigated this process, which expands your pool of resources and options. The better news is that filing for Chapter 13 bankruptcy can stop your foreclosure proceeding, immediately, at any time. This option, which is often the most strategic choice to stop bankruptcy, will be discussed below. The foreclosure process is highly predictable – and since it is so common, courts, banks, lenders, lawmakers and lawyers have the foreclosure process nailed down to a science. 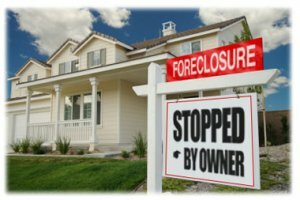 The foreclosure process in New Jersey begins with a notice of default or notice of intent to foreclose – if you have missed three or more of your monthly payments (whether it is a first mortgage, second mortgage, home equity line of credit, condominium or homeowners’ association maintenance fee), chances are your lender will realize. As a result (and as required by the New Jersey Fair Foreclosure Act), your lender will send you a notice of default. This is your lender’s first opportunity to put you on formal, legal “notice” of their intent to foreclose on your property. 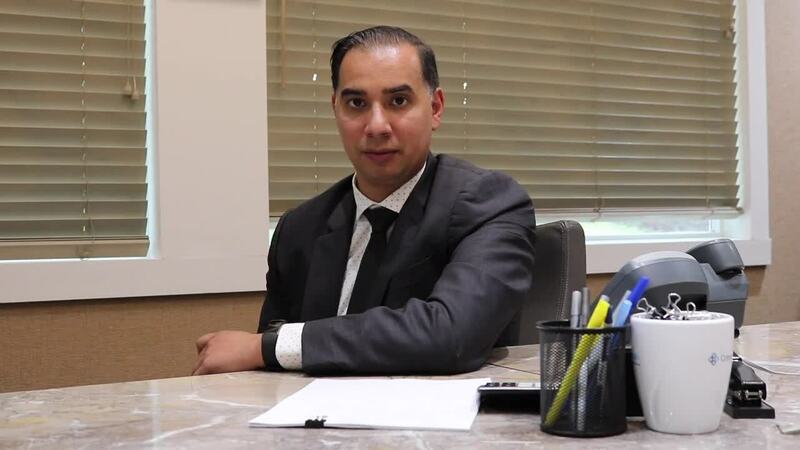 It is important to note that this notice is sent to you before you are “taken to court.” However, it is still wise to talk with a N.J. licensed attorney, as this is may be your first opportunity to “cure” the default – this means, you either make the payment in full or negotiate a settlement (for example, waiving interest, attorney’s fees, or late fees). Again, at any time throughout this foreclosure process, you can stop your lender from “foreclosing” on you (either in court or before formal court proceedings) by filing for Chapter 13 bankruptcy. The notice of default will contain a due date – usually 30 days. If you do not pay within the 30 days, your lender is now able to file a complaint in N.J. court against you. The complaint is NOT the end of the “foreclosure” process – you can still STOP foreclosures from occurring throughout the entire court case, until the day up to the foreclosure sale. The complaint simply asks the court to get involved, and the lender files the complaint to seek a judgment of foreclosure against your home. After you are served with the summons and complaint (and, make sure to speak with a NJ lawyer to assure that you are properly served), you MUST file either an answer or an appearance. Although it can be intimidating, stressful, and easy to avoid, it is crucial that you respond to the complaint. If you do not respond to the complaint, your lender may be able to obtain a judgment of foreclosure against you as a matter of default. You can also actively seek modification options to restructure the mortgage. Even if you default, however, you may still be able to stop your home from being foreclosed on – either through negotiating with your bank or filing Chapter 13 bankruptcy. It may be wise to file for Chapter 13 bankruptcy at this point in your foreclosure process, as hiring a bankruptcy attorney can save you a lot of time and money in the long run. It is often more affordable to file a bankruptcy petition than to defend yourself in a foreclosure action, and then ultimately filing for bankruptcy on the eve of the foreclosure sale. This is because, when you file for Chapter 13 bankruptcy, an immediate protection is triggered to help you: the automatic stay. The automatic stay essentially stops all debt-collection actions against you, including lawsuits, in order to consolidate all of your debt and creditors into your bankruptcy action. The automatic stay, triggered by Chapter 13 bankruptcy, is the key protection to stop your home from being foreclosed upon. Therefore, filing for Chapter 13 bankruptcy at any time during your foreclosure action can help stop your foreclosure and buy you time to save your home. Since facing foreclosure is stressful enough, it is a good idea to hire a New Jersey attorney to take care of the legal process for you. Although the court proceedings for foreclosures are relatively straight-forward (compared to other lawsuits or legal processes), it can still be overwhelming for a homeowner to navigate the court process, to emotionally detach themselves from the case, and to effectively represent themselves. Moreover, there is a key distinction between filing an answer in your average lawsuit, versus filing an answer in a foreclosure action. Your lawyer will be able to assist you in understanding the difference between a “contesting answer” and an “uncontested answer.” Most answers are “uncontested,” in that they do not contest the validity of the lender’s mortgage or the lender’s right to foreclose. The bad news is that, in these “uncontested” cases, the next step is for the lender to file a request for an entry of default – even if you answer. The good news is that your lender must provide you with another, final, chance to cure your default, before they can obtain this entry from the court. Once you receive this final offer letter from your lender, you will have 45 days to respond. If you cannot settle with your lender, and the court grants your lender the entry of default. The lender must then proceed to obtain a final judgment. After obtaining the final judgment, the next step is to order the sheriff to sell your home at a public auction. You can still stop the foreclosure if you file a Chapter 13 at this point and prior to the sheriff sale public auction. It is not until this point, after the court case is over, when most people decide to exercise their option to file for bankruptcy. Bankruptcy is provided to protect consumers and homeowners like you, in order to give you a second chance and a clean slate. Chapter 13 bankruptcy does not completely discharge (or “wipe out”) your debt, but does allow you to organize your debt and reorganize your finances, so that you can pay off your debt (including your mortgage) for pennies on the dollar over time. As discussed above, the automatic stay is the key protection that will stop the foreclosure action from commencing, proceeding, or becoming finalized. It is not uncommon for homeowners to file for bankruptcy on the eve of foreclosure sale – in other words, literally filing for foreclosure on the day before or day of the foreclosure auction will stop the foreclosure action and can help to save your home. Don’t wait to file for bankruptcy on the eve of your foreclosure sale – talk to a New Jersey bankruptcy lawyer today to see how you can save money in the long run, and save your home. Our New Jersey bankruptcy attorneys are here to help you stop the foreclosure process and save your home. Visit our office for a free consultation.